What exactly is wholesale? Wholesale is a sale of merchandise to retailers, industrial, commercial or any other professional business users. Generally speaking it is a sale of merchandise to anyone other than the standard customer. 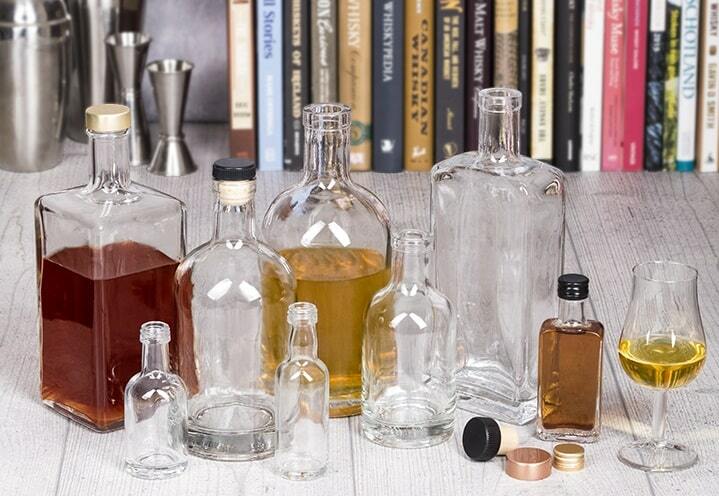 When talking about the spirit bottle industry, the main goal of wholesale would be for businesses to acquire a huge number of glass containers at an affordable price. The larger the amount of glass bottles on the pallet ordered, the lower the cost is for each individual bottle. This way a liquor business can save a lot of funds and then reroute them to further develop the production. If you are in the UK alcohol beverage production business, you need good quality glass containers that can catch the eye of the customer and also provide a good package for your alcohol brand. Buying glass bottles from retailers would cost you a fortune, so with wholesale you can avoid the exorbitant expense and instead order your containers directly from the supplier. This makes the whole process a lot cheaper and allows you to focus and invest in other fields of your business. Pont Europe specializes in glass bottle production and it is one of the leading European and UK wholesale glass suppliers. There are three locations in the United Kingdom and these facilities are marked as Unit 2, Unit 8 and Unit 26. Unit 2 is based in Gillingham, Unit 8 in Manchester and unit 26 is in Glasgow. With these locations almost the entire UK is covered from the south and the London area to Scotland in the north. With great logistics you can have your packages delivered swiftly and with no complications. Here at Pont our team can create the service contract that will best fit your needs. The deliveries can be done on a daily plan or on call. Another great feature is the option to hold your stock at one of our warehouses if you lack space in your spirit production location. There is also the standard Derby line where glass bottles come in a variety of sizes. It starts with the smallest one, the 50 ml miniature, and goes through the 200 ml, 250 ml, 350 ml, 500 ml, 700 ml, 1000 ml and finishes with the largest volume bottle of 1500 ml. A fun and modern way to customise your glass bottle is with 3D labels. This gives the glass an embossing effect and it requires no investment in tooling, plus the labels can adapt and be affixed to any shape and size bottle. The other option worth mentioning is bespoke bottles. Here you can create your very own customised package. Design your bottle by choosing the shape, size, colour, bottle closure and decorate it any way you desire. If you are stuck and need help with creating this new line, our team here at Pont Europe can advise you and help you get exactly what you want. Remember, with Pont, the sky’s the limit. Compared to other wholesale suppliers of containers, Pont is at the very top of affordable and well cost-optimized companies in UK. When you consider that delivery, decoration, and all those other aspects concerning spirit glass containers can take up a large chunk of your business investment it is important the choose the supplier that will allow your business to grow. Whether it is the standard spirit glass bottle line or a bespoke creation, our clients can be sure that the final price will fit nicely into their planned budget. All of the customisations and glass decorations are really not that expensive. On the contrary, they are quite affordable when you realize that in this way you are securing your place in the ever growing highly competitive world of spirits and liquor. Why choose Pont Europe to be your wholesale supplier? If you have any additional questions please contact one of our UK offices and we will be happy to assist you with anything you need.